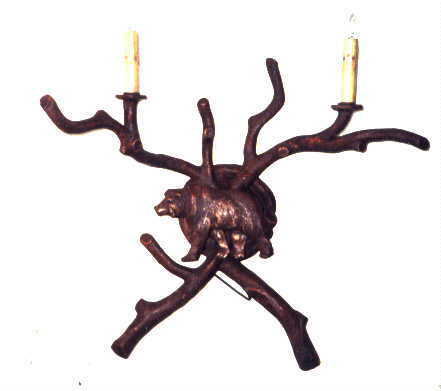 Description: cross branch with animal, 2 light (bear, right or left facing). Resin &steel. Other animals available. Shades extra.